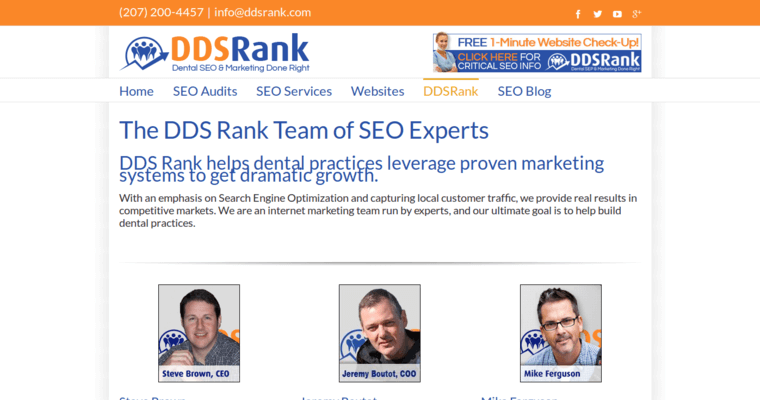 Dental SEO firm, DDS Rank, specializes in helping dentists, orthodontists and other dental professionals get found online by prospective new patients. They do not accept clients in other industries, preferring to focus their efforts on only one industry. 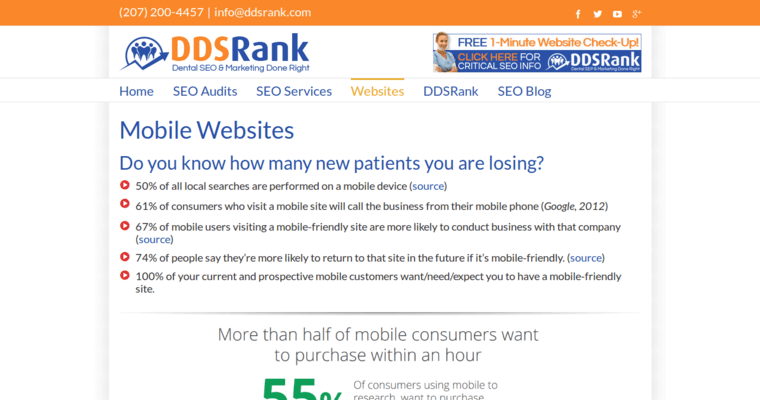 Additionally, DDS Rank only works with one type of dentist in a geographic area so they can focus on making their client dominate the SERPs. The dental SEO firm uses ethical, updated tactics, tailored for each client based on an audit of their website and a competitor analysis. Everything is done in-house; DDS Rank does not outsource any work, including content creation. 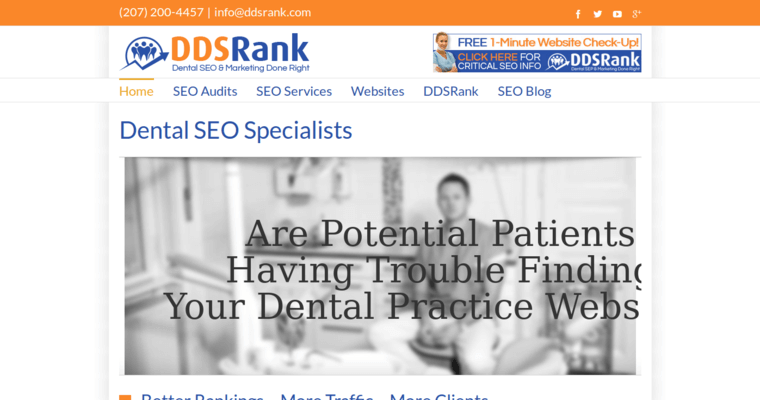 The dental SEO firm also offers website design and PPC management for dentists.